Keep track of bookings and availability from VRBO, Airbnb, FlipKey & more in one easy-to-use calendar. Many vacation rental owners and managers choose to list their property on multiple third-party sites, all of which feature their own internal reservation and availability calendars with bookings made through that particular site. Vacation Rental Desk makes it easier for you to keep track of those multiple different bookings by allowing you to import calendars from other listing sites into your Vacation Rental Desk calendar. Quickly see bookings from listing sites like VRBO and Airbnb all at once to get an accurate idea of availability for your rental so you can set rate windows, choose to create coupons, and market your rental to maximize bookings. By importing and exporting calendars into and out of your Vacation Rental Desk account, you can easily prevent potential double booking from multiple listing sites. Save time and prevent stress by syncing all your bookings all from one account. Never miss a booking made through another site with the calendar synchronization tool. 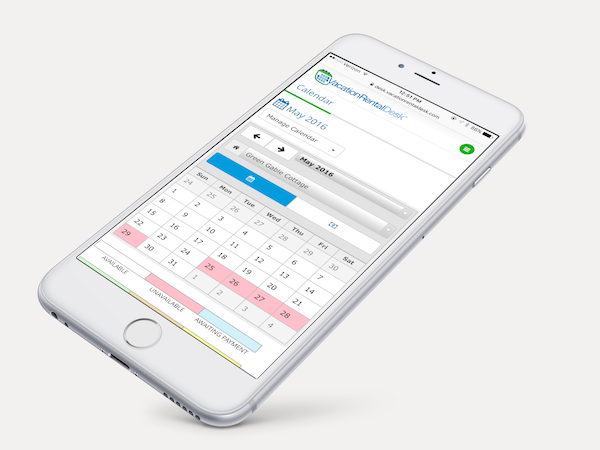 With only one master calendar to maintain, keeping track of bookings is easy and streamlined. To access the calendar synchronization feature, go to the Settings tab of your Member Dashboard. Choose Booking Tools » Calendar Synchronization. From there, you can either directly import a calendar from another site or learn how to export Vacation Rental Desk’s calendar into other websites. Learn more about the Vacation Rental Desk calendar and its features.